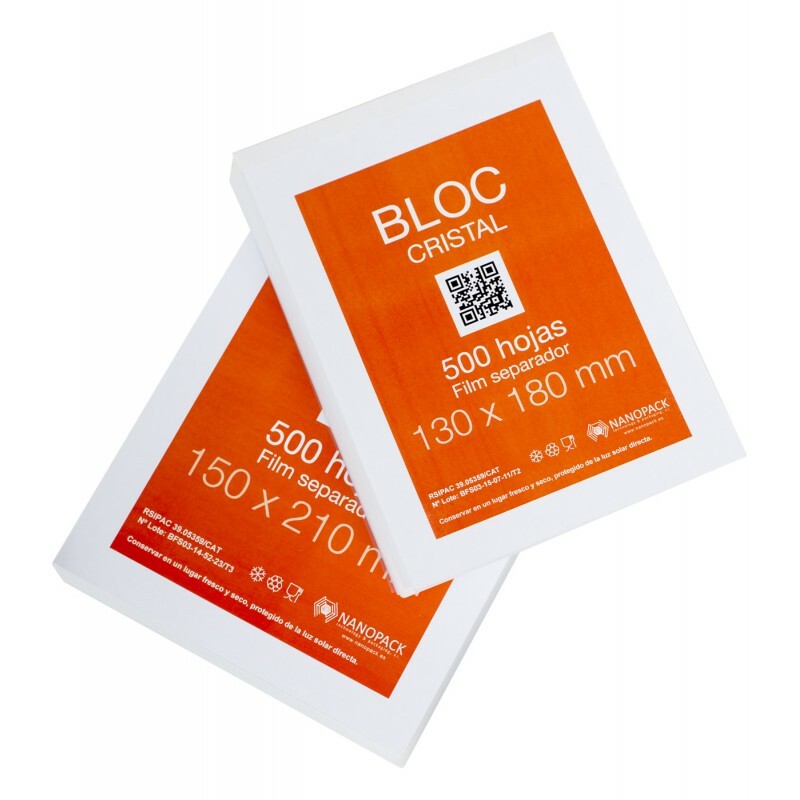 Bloc interleaver film with nonstick ability to help separate food or rations, even when the product is frozen. Product award at the Alimentaria 2014 for Innoval Hub. 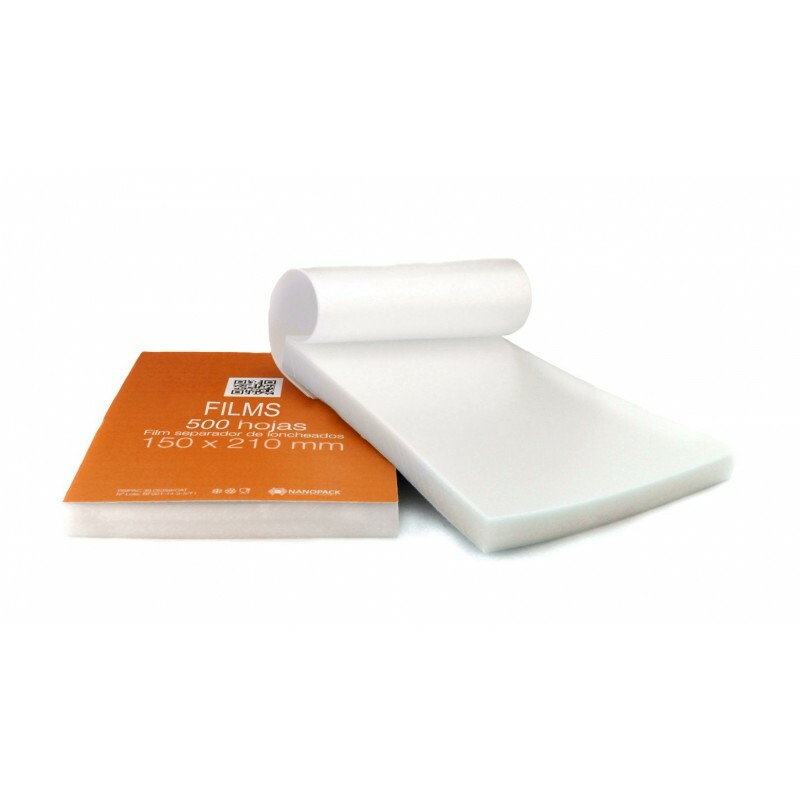 Perfect film to separate fresh foods such as meat or cheese. It allows to freeze the product and remove it easily. 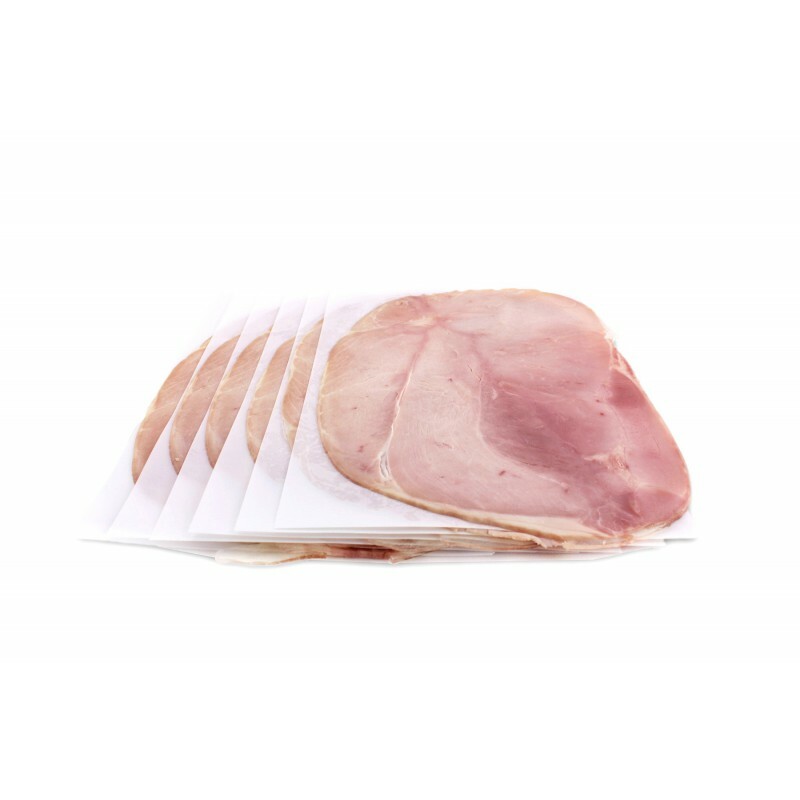 Ideal for separating ham, cheese, fresh meat ... We recommend use vacuum bags and bags BOSSFRESH to transport fresh produce. 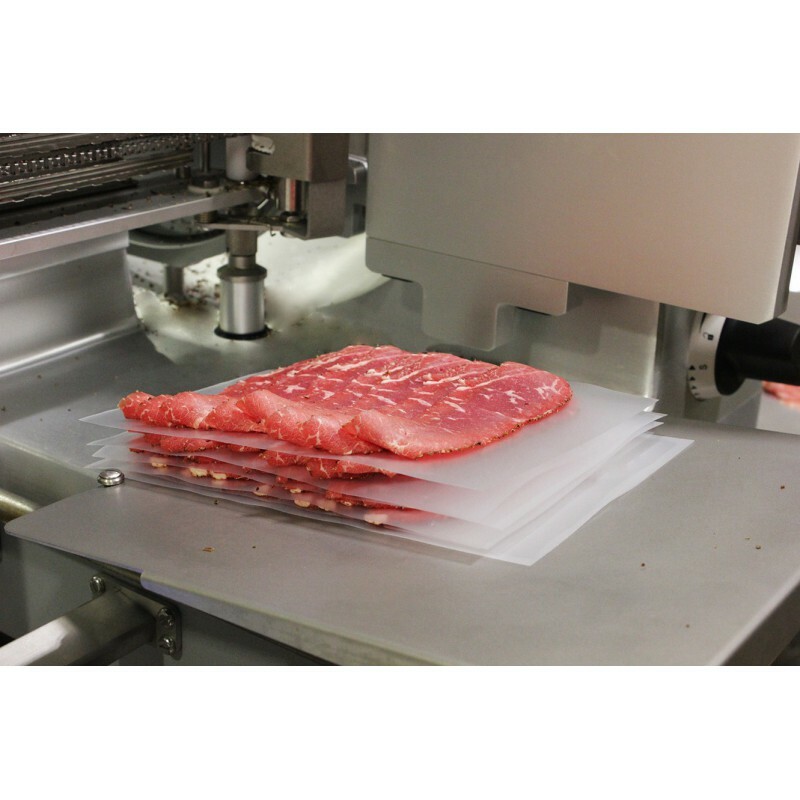 The product enables to preparate portions of carpaccio, packaging delicate products and deshy Prepares portions of carpaccio, packaging delicate products and deshydrate food thanks to its freezable capacity. 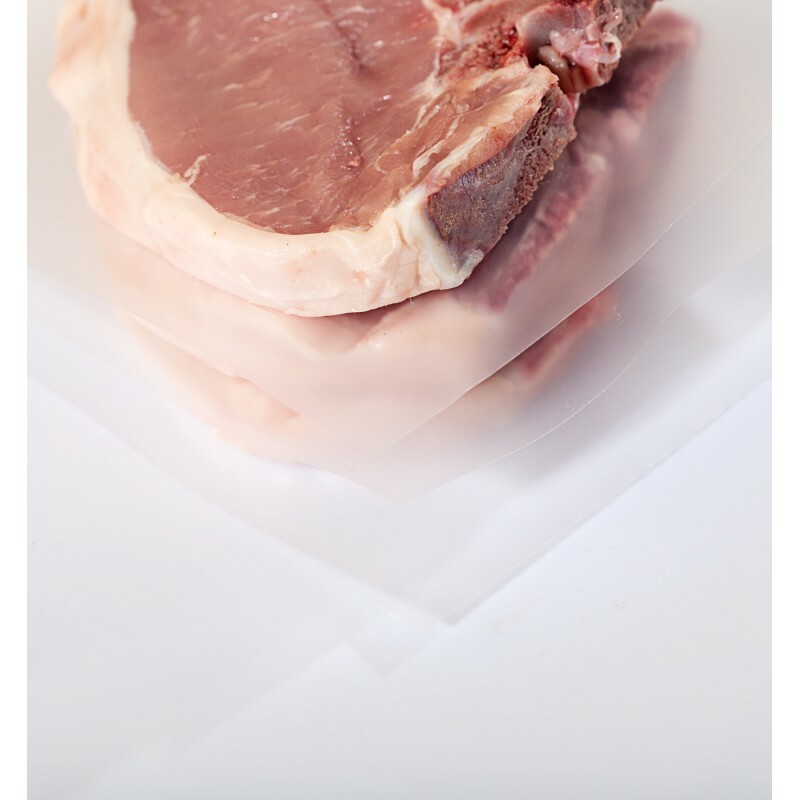 The advantage of separating without thawed allows to optimize the space, the use of packaging and offer new food oportunities. 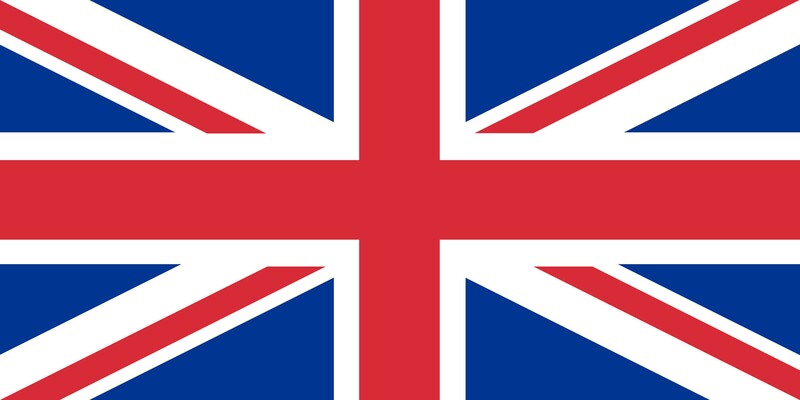 We recommend to use it on vacuum bags. Block Cristal has been awarded in 2014 by Alimentaria Innoval Hub.